When you hear the word "church" - what comes to your mind? More than likely, you've called to your mind a particular building, or a particular group of people in a particular place. Maybe you think about the songs that you've heard sung, or a sermon you've heard. But - it's unlikely that you think about "church" the way God sees it. As the Big C Church, spread out across continents and centuries, comprised of tens of thousands of men and women and children, laboring in love across time and space to bring about the very real Kingdom of God. Or, as C.S. Lewis once described it, "The Church is spread out through all time and space and rooted in eternity, terrible as an army with banners." PERSPECTIVES is a unique, advanced and intensive journey to change your thinking and expand your heart. For 15 weeks, you will hear 15 outstanding speakers share the story of what God is doing and has done throughout history and across the Globe. Your eyes will begin to see that "church" is not what you think. PART 1 + 2: The Biblical and Historical Perspectives. These sections of the class reveal why our confidence is based on the historic fact of God's relentless work from the dawn of history until this day. PARTS 3 + 4: The Cultural and Strategic Perspectives. These sections of the class will challenge you, underscoring the reality that we are in the midst of a very costly, but very "do-able" task, confirming the Biblical and Historical hope. 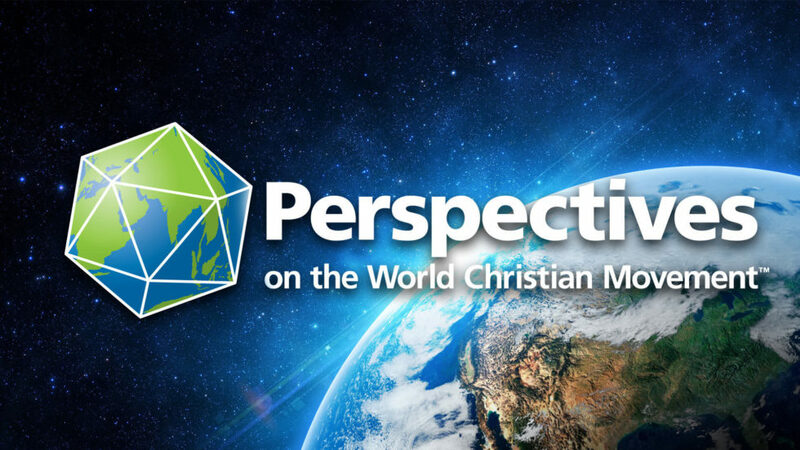 The goal of Perspectives is to give you a global and Biblical vision for God's work on earth through His people. Through this class, you'll discover that the "Church" is the biggest agent for redemptive change the human race has ever known...and you'll see your part and how God is inviting you to join His incredible work.